The Rochester Knighthawks honored the last surviving WWII Akwesasne Mohawk code talker, Louis Levi Oakes, before its game Saturday night. 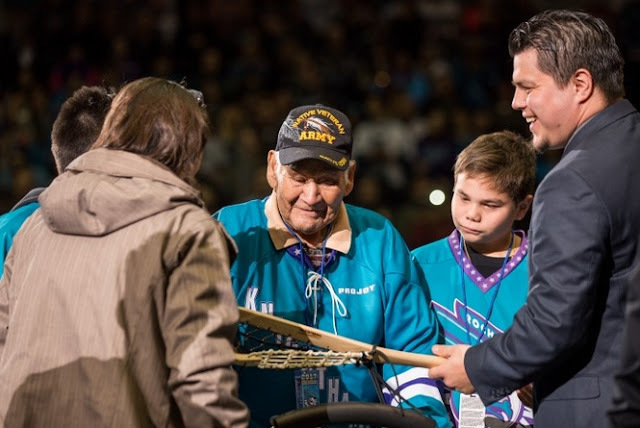 Veterans Outreach Center Executive Director Todd Baxter accompanied the 91-year-old from the North Country. 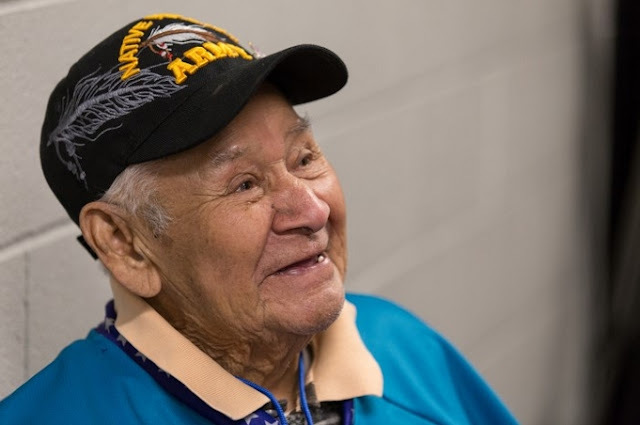 Baxter knows how important Native American code talkers were during the war and stresses the sacrifices they made by going across enemy lines to relay messages using their native language. “The code talkers what a special thing that they did, the Native Americans coming forward and fighting for a country that may not have treated them that well and the fact that they stepped forward and gave their own blood and gave their skills for us to live the way we’re living today, we can’t forget that," said Baxter. 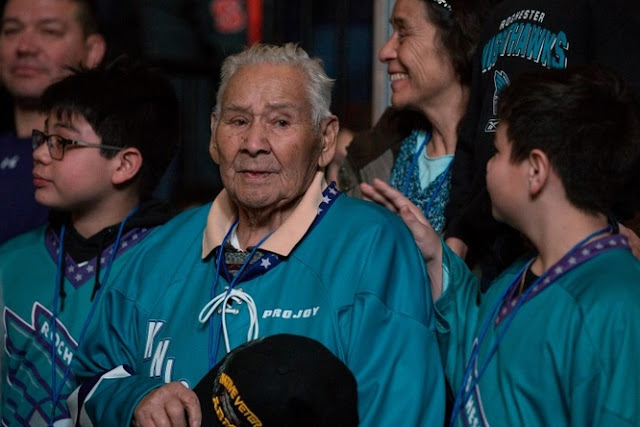 The special moment comes after Oakes and the rest of the code talkers were asked to remain silent about their role in the military for decades. 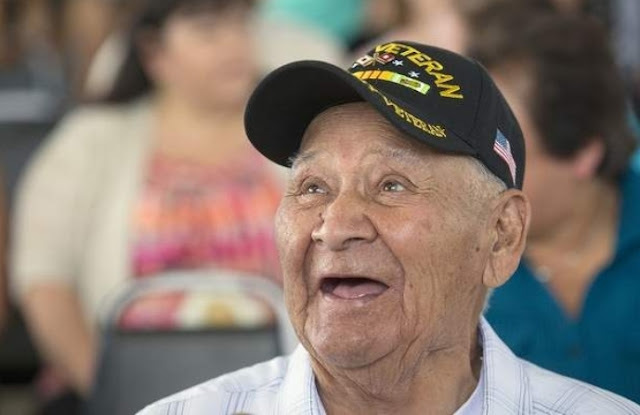 It wasn’t even until recently, when he was awarded a silver congressional medal, that his family discovered he was a code talker. While it’s hard for Oakes to remember his two and a half years in the Army now, his pride in his group's accomplishment is easy to find. 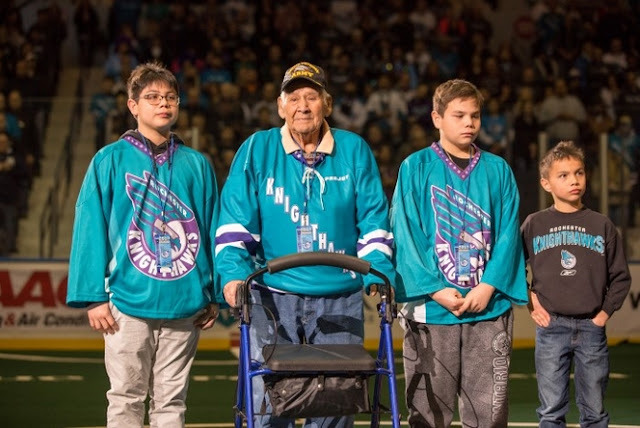 For his three great-grandsons who helped walk him out onto the turf, they call him their hero for fighting for this country. “It makes me feel good he’s finally being acknowledged for what he did,” his great-grandson Ryan Oakes said. 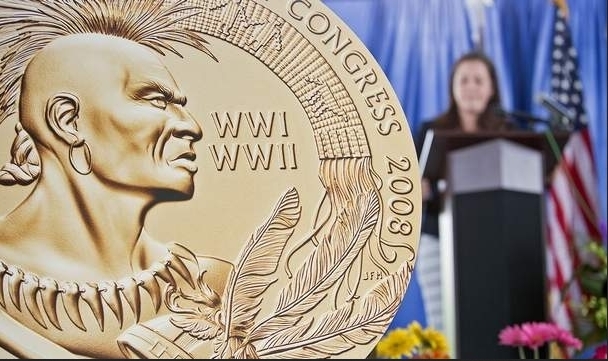 Responses to " Last Akwesasne Living Mohawk Code Talker Honored in Rochester"